We stand strong in the face of evil and adversity by showing the world the metal of the American people, through goodness, and selfless acts of charity, courage and heroism even in the face of death. But this doesn’t just happen in the moment, it is who we are as Americans, it is in our DNA and steeped in tradition. It was there at this nation’s founding and has lived on in spirit and inspired generations. The decency and compassion of the American people has been proven over and over again through time and throughout the world. But we are not a perfect people, throughout history mistakes have been made and transgressions have taken their toll. And so as time progressed change was inevitable, but especially in people. In this particular, I believe it began in the post modern period with the advent of the sexual revolution and civil rights movement. It was a major social and cultural shift that manifested itself in a callousness and indifference toward religious liberty, faith in a higher power, and more significantly in the dignity and sanctity of human life, and it was propagated and made legal by five lawyers on the Supreme Court who went beyond the bounds of the Constitution. In 1973 a landmark ruling, Roe vs. Wade, the United States Supreme Court on the issue of privacy, and under the Due Process clause of the 14th Amendment, gave to women the right to an abortion, in effect to determine life or death. Since that day of infamy forty plus years ago, over 60 million innocent lives have been destroyed. 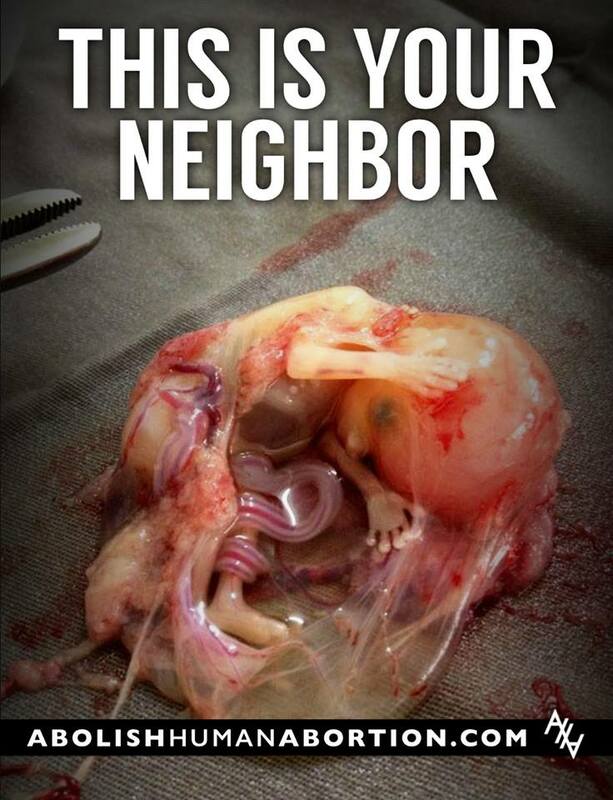 There’s been much debate, name calling, and death both inside and outside the womb. The outset of elections, political victories and defeats, has been determined by the candidate’s position on this divisive and damning issue. In the midst of all the carnage and death as a result of this barbaric procedure was the revelation of an atrocity so outrageous and inhumane that it defies description and reveals an ever growing sickness and corruption of a culture, all brought about by that one decision years ago. In 2013 Dr. Kermit Gosnell stood trial in Philadelphia on four counts of murder for having performed late term abortions up to and after birth. One of these deaths was an expectant mother having an abortion and succumbing to incompetent treatment and squalid conditions. There is reason to believe that over a thirty year period, with the complicity of government officials, Gosnell conducted hundreds of late term abortions and the murder of untold numbers of babies born alive in his Women’s Medical Society abortion clinic. There is evidence that within the filth-infested walls of this house of horrors was severed body parts of aborted babies kept in jars, and fetal remains in a freezer. Brought out in trial was one particular event that can only lead one to conclude that the doctor was not only a brutal dispenser of death and devoid of all humanity, but was considered by many as the nation’s foremost serial killer. Appearing in trial transcripts was this horrendous revelation, “Baby number 4 let out a soft whimper, before Gosnell snipped its neck and severed its spine". As outrageous as all this may appear, there was another disturbing aspect to this reprehensible story and that is the tacit reaction by the national media through its failure and negligence to report on the Gosnell trial that had been ongoing that year. It is understood that many in the media support abortion, and this is reflected in what can best be described as their lethargic attitude, considering they are part of the fabric of a culture that refuses to accept the reality of abortion. It is also apparent they feared this revelation would cause pro-choice Americans to rethink their support. Aside from Fox News, few news sources had reported on the trial. The Gosnell trial ended, and the jury deliberated and rendered a guilty verdict on three counts of murder, one count of the involuntary manslaughter, and over 200 counts of assorted criminal charges ranging from racketeering, infanticide, and the violation of the state's abortion law. Gosnell was acquitted of the murder of baby number 4; in the juror’s minds the “soft whimper” was not enough to justify birth and actual life in the baby. Kermit Gosnell’s atrocities and his chamber of horrors will live with us through time, a sad commentary and reflection of who we are as a country and people. Gosnell decided to forgo an appeal and possible capital punishment, and accepted life in prison. So be it, in the end let the Lord deal with this brutal dispenser of death. This begs the question: Are we all complicit and should we be judged as well, the media, abortion supporters who stood by in silence only to be heard when defending choice and referring to Gosnell as an aberration, thus creating the climate by which monsters like Gosnell could fester and apply their dastardly deeds? And Pro-life advocates, could they have possibly done more, and politicians like former republican Governor Tom Ridge, an abortion supporter who looked the other way and allowed the clinic where these atrocities took place to go on without proper inspection from state health agencies. What is most troubling is why this did not create a national uproar. Where was the outrage, the protests, the American people marching in the streets and demanding justice for the innocent victims of this cruelty? Where was the President of the United States, his administration, condemning this heinous brutality - the mutilation and death of babies born alive? Why do we continue through our tax dollars to fund abortion mills like Planned Parenthood? Our response is a far cry from the bravery and compassion the American people displayed in such times of great tragedy and death. And now we begin another chapter in the long ongoing legacy of Roe vs. Wade. The year 2015 will be recorded in the history books as both eventful and highly controversial - the beginning of the political season, a visit by Pope Francis, the first Catholic pope to speak before the Congress of the United States, the tenacity and courage of a county clerk in Kentucky who defied a Supreme Court ruling that many Americans believed undermined traditional marriage and religious liberty, and the ongoing unrest and genocide in the Middle East and the spread like a deadly virus of ISIS terrorism. Compared with all these events, and there were others not mentioned, there was a series of undercover videos by the Center for Medical Progress (CMP), a California based organization, that revealed high ranking Planned Parenthood (PP) officials discussing the harvesting and trafficking of aborted ‘fetus’ (baby) body parts. The revelation of this heinous act caused tremendous outrage, disbelief, and disgust. The supporters of PP came to its defense stating it plays an integral role in women’s health but never acknowledging the fact that PP aborts upwards of 300,000 babies a year, and some of these are late-term abortions. Eventually a Grand Jury issued indictments against David Daleiden and an associate, Susan Merritt. It was Ms. Merritt who conducted the undercover sting operation that produced the videos. This was accomplished in the Houston, Texas PP, one of the largest abortion providers in the country. In effect, the indictments cleared Planned Parenthood of criminal conduct, thus absolving it of any wrongdoing in the sale of fetal tissue, which is illegal. Indictments, however, are not indicative of guilt, the supporters of Daleiden and Merrit, and the actions of CMP, circulated petitions demanding Houston, Texas, Harris County District Attorney Devon Anderson countermand the grand jury decision and vacate all charges. Prolife groups were outraged by what they believed was a miscarriage of justice; it was their contention that “the actions and tactics of Daleiden and Merritt are those that are employed by investigative journalists every day in pursuit of their objective”. Operation Rescue, a prolife group issued a statement calling on District Attorney Devon Anderson to resign. It appears there had been a conflict of interest and possible prosecutorial misconduct in the Houston District Attorney’s office. It has been reported that one of D.A. Devon Anderson’s staff attorneys Lauren Reeder was a director and board member of Planned Parenthood. To further deflect from this horror show, PP and the National Abortion Federation sued Operation Rescue President Troy Newman, a board member of CMP, along with David Daleiden and others in San Francisco Federal Court. Operation Rescue also discovered that one of DA Anderson’s biggest donors is one Chip Lewis, a pro-abortion lawyer who represented corrupt late-term abortionist Douglas Karpen. Finally there was some good news, in May 2016 a Harris County judge dismissed all charges against Daleiden and Merritt; this was followed on July 26, when the Harris County District Attorney’s office cleared the couple of all charges. This was a travesty of justice from the outset, committed by unscrupulous people in positions of power. I believe Justitia the Roman goddess of justice, the blind lady we all know holding the scale that symbolizes the balance between truth and fairness, had in this case been replaced by the ‘Three wise monkeys’ embodying the proverbial principle, “See no evil, hear no evil, speak no evil”. Legislation to defund PP has been blocked at the federal level mainly by democrats, however there are 33 republican governors, and a number of these have begun to enact legislation in their states to defund Planned Parenthood. In the “Scarlet Letter,” Nathaniel Hawthorne wrote “Human nature will not flourish, any more than a potato planted and replanted for too long a series of generations, in the same worn out soil.” Is this callous disregard for the life of the innocent that has plagued us to be our legacy to future generations; let us hope and pray not, for the seed we sow and plant today will yield what we reap tomorrow.